Based on all the questions we get from the info nights, emails, facebook, linkedin etc, we’ve collected them all into one place. 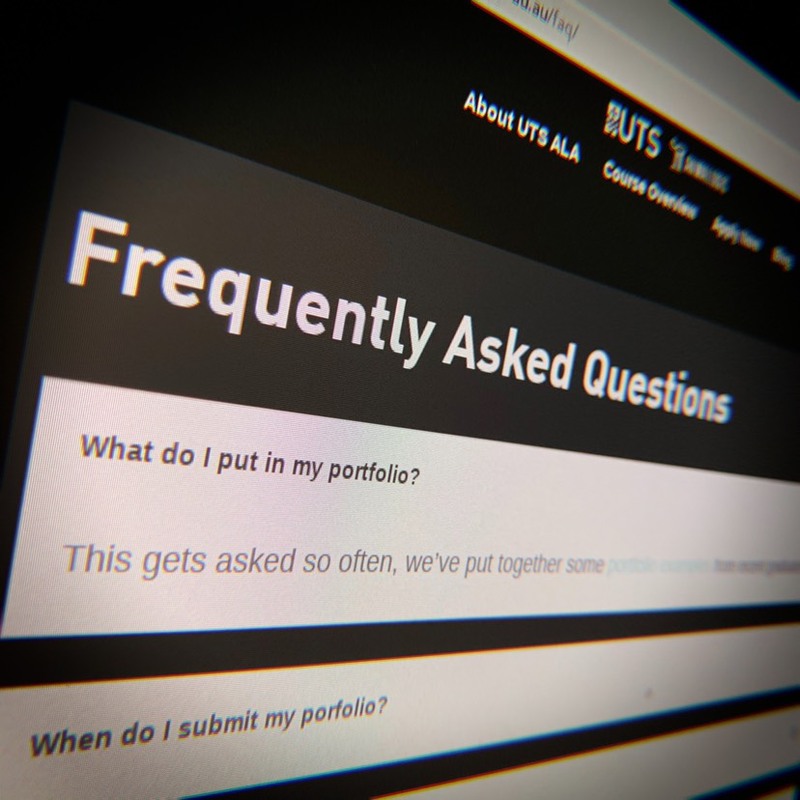 We also made a special break out section on what we look for in a portfolio, with examples from our current students. Have a look!